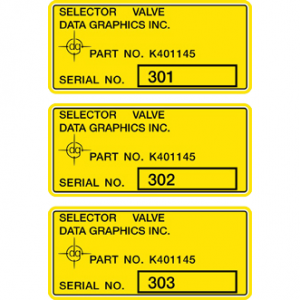 Why Data Graphics is the Best Metal Asset Tag Printer for Your Valve Tags, Serialized Fixed Asset Labels, and Variable Data Metal Inventory Tags? Certified Asset Tagging Quality: We are the nation’s best asset tracking system printer because our quality is unsurpassed. 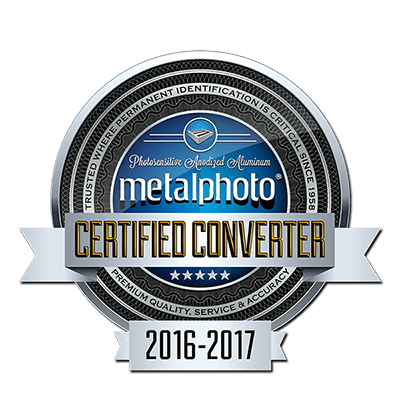 We are the one of only eight Metalphoto® Certified inventory asset tag printers in the world today. 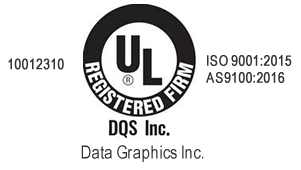 Data Graphics is also certified as UL, RoHS ISO9001: 2008, AS9100 and ITAR compliant. Every week we manufacture thousands of valve tags and asset inventory labels that meet PGDQ2, UL 969, Mil-Std-130n, PGGU2, Mil-A-8625F and many other standards. Our work is carefully scrutinized by the US military, NASA, and some of the nation’s most demanding manufacturers. Yet, our inventory asset production standards are so high that we average 99% approved order rates. Because we are the highest quality metal asset tracking printer, more than four out of every five customers repeat order. 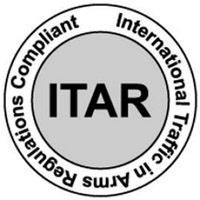 We are proud to be perhaps the most highly decorated metal asset tracking printer in the nation. Get Your Equipment Labels Quickly: We might be America’s fastest inventory labels printer. Our turn-around times of just 2-10 working days, make us the industry leader in inventory asset tag printing. We’ll meet our deadlines for your metal equipment tags. Data Graphics even offer expedited inventory asset tag printing for urgent situations. In fact, more than 60% of our valve tags, custom serialized inventory labels, and QR/barcoded aluminum equipment labels ship early. Call us at 800-639-4316 and see for yourself just how fast and responsive we really are. Getting Your Equipment Labels Right: Data Graphics custom inventory tags get 100% inspection rates. We inspect each of your asset inventory labels. Most printers only examine random samples of each asset labels order. We realize that when you need custom aluminum tags, serialized valve tags, or barcoded asset inventory labels, you need them done correctly and delivered on time. With Data Graphics, you can rest assured you will get what you need for your asset tagging system when you need it. Problem Solving Comes Standard with Our Metal Tags: You won’t find an asset tracking system printer you enjoy working with more than Data Graphics. Having a single, knowledgeable, dedicated rep creates error-free orders. There are many options to choose from for an asset tracking system. It requires good decision making. Our team of experts makes it easy to order asset inventory labels. Our knowledgeable, helpful staff have over 500 years of collective experience printing asset inventory labels. With that much experience, we know how to solve your any problems with your equipment labels, and guide you to the best valve tags, and asset tagging system solutions. We are committed to finding the right adhesives, materials, and methodologies give you the best valve tags, asset inventory labels, and metal inventory tags for your project. Trusted, Award-Winning Inventory Labels Printer: We have earned our reputation as America’s top custom asset tracking system printer. Our satisfied metal tags client list reads like a “Who’s Who” of Fortune 1000 manufacturers, including GE, Lockheed-Martin, Siemens, even NASA and the US military. Read their testimonials. 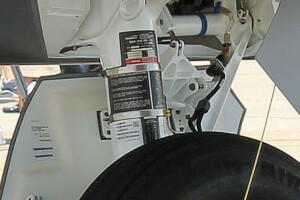 In fact, we recently received two of the highest possible aerospace ratings, the Boeing Gold Supplier and Rockwell-Collins Platinum Premier Supplier awards for our prompt, high quality asset tagging system labels. Our clients don’t trust their brand to low quality valve tags printing. We manufacture each of our serialized valve tags, barcoded fixed asset tags, and custom metal equipment labels to the same high standards as if it were going on a submarine or a jet fighter. We won’t risk our reputation on anything less than the best metal inventory tags. Why the Goldilocks Factor Applies to an Asset Tracking System Printer: We’re just the right size — neither too little, nor too big — to meet your inventory tags needs. We’re large enough to have wide ranging capabilities in printing a huge range of inventory tags, yet little enough to provide personal service and attention to detail you deserve. We’re the asset tagging system manufacturer with the right perfect of the “latest and greatest” machines. We can manufacture any scannable asset inventory labels, serialized metal equipment tags, or custom anodized aluminum equipment labels. In-house fabrication means no delays in cutting or machining your asset labels. We are large enough to have redundant machines, so a glitch on one tool won’t delay your inventory tags order. Our focus is not on valve tags, and asset tagging systems, however. It is on making our clients happy and successful. In spite of our advanced inventory tags capabilities, we’re still small enough to value each client. Your success is important to us, and it shows in every phone call and in each of the custom metal tags we make. We want to be your asset tracking system printer for life. You won’t find an asset tagging system printer as committed to your success and satisfaction as Data Graphics. Security and Confidentiality for Your Equipment Tags: As an ITAR (International Traffic in Arms Regulations Compliant) Registered asset tracking system printer, we adhere to the highest standards of security and confidentiality with any custom asset labels, valve tags, or other asset tagging. Versatile Asset Tagging System: We bring remarkable versatility to printing valve tags, inventory tags, and equipment labels. We can manufacture your asset inventory labels in a number of ways – metalphoto, laser etched, engraved, hot stamped, digitally printed, screen printed, and flexographically printed roll labels. Our knowledgeable staff of asset tag printing experts is eager to help you determine the best materials and methodologies for your serialized valve tags, variable data asset tagging, and other custom equipment label projects. 1. What demands are placed on your equipment labels? Our asset inventory labels are on pipelines in the ocean, tanks in the desert, and the International Space Station. They hold up because we design each inventory asset tag for its unique environment. Properly prepared custom metal tags, valve tags, and metal inventory tags can withstand the harshest elements imaginable. We can meet you expectations if we understand the abuse your asset inventory labels and valve tags are expected to take and their life expectancy. For the most durable custom metal asset tags, metalphoto printing, laser etching, or engraving are the best options. 2. What information must be conveyed on your inventory tags? 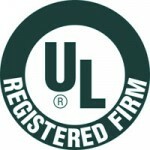 Does each inventory asset tag need a UID or serial number? Do your aluminum asset labels have scannable barcodes or QR codes? What size does it need to be? For the finest detailed valve tags, we recommend metalphoto, and for a serialized asset tagging system we recommend metalphoto, laser etching, hot stamping. 3. What will your equipment tags be applied to? Both the substrate and the adhesive we choose for your inventory tags can be influenced by this. 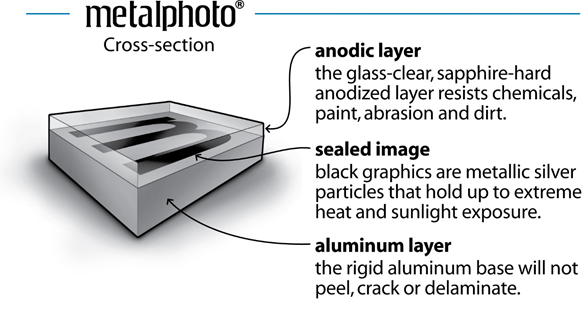 Metalphoto photosensitive plates, anodized aluminum, and even many synthetic substrate can be fabricated for bolt, screw, or rivet assembly. Even the most durable custom aluminum tags only work if they stay firmly attached where they are supposed to. Strain is not only placed on the aluminum asset labels substrate, but also the adhesives. 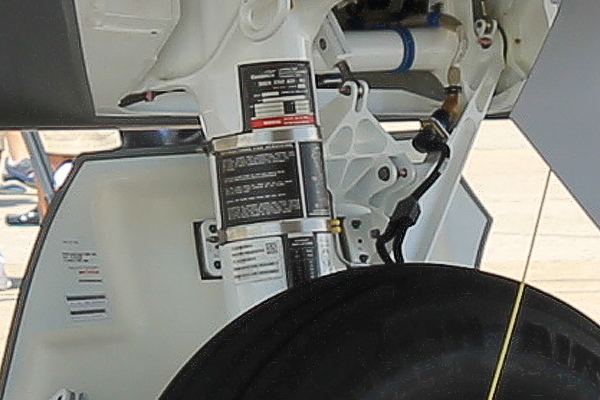 The temperature extremes, moisture, and physical pressure certain industrial, military and aerospace asset tagging systems must endure can push adhesives to their limit. The most durable aluminum asset labels may need adhesive that withstand chemical corrosives or abrasion, repeated impacts or exposure to UV light or saltwater spray. Our experience with asset tagging systems allows us to match the right adhesives to your application. Since 1984, firms just like yours have trusted Data Graphics to make nearly indestructible metal inventory tags. Aluminum tags that can’t withstand abuse may quickly become damaged become illegible, unscannable, melt, chip, tear, or even detach. We‘ve become an industry leader by designing valve tags, inventory decals, and other asset tagging system solutions that handle just about anything. We specialize in producing the highest quality synthetic and anodized aluminum asset labels, built to last a lifetime, because we want to be your life-long asset tracking system printer. Our 25,000 square foot facility is equipped with cutting edge inventory asset tag printing equipment. We have the machines necessary to print the perfect valve tags and fixed asset labels for your project. Don’t order your custom aluminum tags or fixed asset labels before giving our helpful experts the chance to discuss your specific situation, and devise the best possible asset tagging system for you. Need the longest-lasting, highest quality custom aluminum tags you need to perform in every possible condition? Please call 800-639-4316 for a free consultation and let us help you find the best values on valve tags, inventory labels, and aluminum equipment labels. Our anodized aluminum asset labels meet many DoD/NASA specifications and have been featured on big-name vehicles like the International Space Station, Apache helicopter, and USS Ronald Reagan! A certified asset tracking system is required for many military manufacturers supplying the DoD, NASA, other government agencies, and firms adhering to UL standards. Many companies not subject to MIL-STD-130 n or UL 969 standards still find custom inventory labels helpful in maintaining inventory, records, and bookkeeping. A quality asset tracking system minimize waste, reduce less lost inventory, and increase profits. With over 30 years of experience producing fixed asset tags, and a wide range of other labeling products, Data Graphics can help you perfect your asset tracking system. We have a proven track record as an asset tag printer in nearly every industry. We would love to earn your business and become your lifelong inventory asset tag printer. Please call 800-639-4316 for a free consult about your metal equipment tags. Variable Data on Your Fixed Asset Labels – Hot stamping can create barcodes, QR codes, UIDs, and serial numbers on your asset inventory labels. We can hot stamp relatively minute details on your equipment labels. Affordable Fixed Asset Labels – Hot stamping makes affordable equipment labels, especially if you need variable data capabilities. Material Diversity – Custom equipment labels can be hot stamped into a wide variety of materials including metallic foil, polyesters like Mylar, polycarbonates like Lexan, polyimide, vinyl labels, etc. 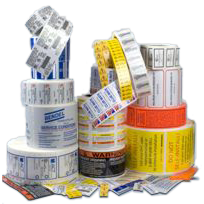 Convenience – Since hot stamped equipment labels typically come in roll label form, they are very convenient. Lacks the Ruggedness of Anodized Aluminum Asset Labels – Hot stamped equipment labels are simply not designed to endure significant abuse. The most durable aluminum asset labels, are created using laser etching, engraving, or metalphoto printing. Image Quality on Your Fixed Asset Labels – Photo quality images, color gradation, and fade are not possible with hot stamped equipment labels. Color Limitations on Your Inventory Asset Tag “Printing”– While the substrates come in a spectrum of colors and finished, the printing itself is limited to 2 colors hot stamped onto your foil equipment labels. Please call 800-639-4316 for a free fixed asset labels consult. Rugged Inventory Asset Tag Printing – Engraving creates bold, deep cuts into durable custom metal tags. Because of the boldness of the cut, each inventory asset tag printed is typically legible regardless of grime, dirt, and the element. This usually makes engraved custom aluminum tags the easiest to read. 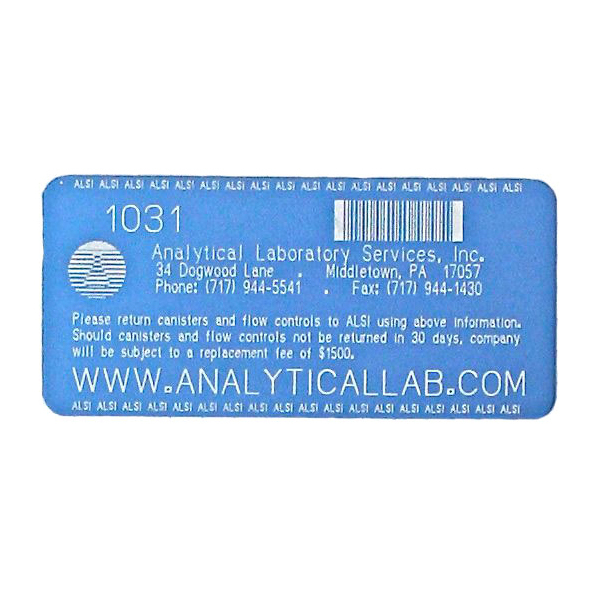 Engraved metal equipment tags typically hold up very well to UV, the elements, chemicals and solvents. However, engraving does expose the raw metal beneath the anodized layer, making them less durable than metalphoto inventory tags, and more susceptible to corrosion than laser etched inventory labels. Serialization of Your Custom Metal Tags – Our CNC engraver has digital engraving capabilities. We can create serialized or sequential equipment labels. Color Limitations on Your Inventory Asset Tag “Printing”- Obviously, engraving does not print any colors onto your asset inventory label. However, the anodized aluminum does come in a variety of colors and finishes. Engraving through the colored top coat to reveal the raw aluminum beneath is very stylized, and can make the engraving on each inventory asset tag printed more pronounced. Variable Data/Fine Detail is Impossible on Your Engraved Custom Metal Tags – Because engravers are limited by the size of the bit, fine details, such as barcodes/QR codes are impossible. To get variable data on your custom metal tags, metalphoto and laser etching are better choices. 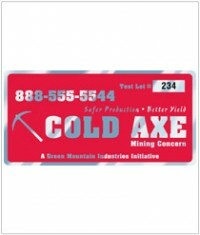 Please call 800-639-4316 for a free metal equipment tags consult. Variable Data on Your Metal Tags – Laser etching can create barcodes, QR codes, and sequential numbers on your equipment and valve tags. We can etch as fine as .005 mm on your metal inventory tags with our digital laser etcher. This allows a great deal of flexibility and full variable data capabilities. Rugged Inventory Asset Tag Printing – Our metal equipment tags, because they are typically anodized aluminum, hold up extremely well to corrosion, chemicals, solvents, UV, and the elements. Laser etching burns an image into the surface of the anodized aluminum. Laser etching does expose raw metal beneath the anodized layer, making it less durable than metalphoto aluminum asset labels. At the same time, laser etched custom aluminum tags have longer productive lives than engraved anodized aluminum asset labels. Since the burns in the anodized layer are shallower and narrower than engraved metal inventory tags, etched aluminum tags may be slightly less legible, but are less susceptible to degradation. Please call 800-639-4316 for a free anodized aluminum equipment labels consult. For custom fixed asset tags to perform, they must remain legible. An aluminum asset label that cannot be read or scanned is useless. The metalphoto® process provides photographic-quality metal equipment tags with unrivaled resistance to chemicals, corrosion, UV, abrasion, and any other abuse aluminum asset labels could be expected to endure. The metalphoto process develops a silver halide image directly onto the aluminum substrate. The image is not printed on the surface of your custom metal tags, but developed on the aluminum substrate beneath it. We then seal the image within your custom aluminum tags. This creates a durable anodized aluminum asset label with a protective layer of sapphire-hardness. We can fabricate custom fixed asset tags in most shapes and sizes. Custom dies can be made specifically for your anodized aluminum asset labels, or Data Graphics can machine your metal inventory tags on our CNC. Variable Data Custom Metal Tags – Metalphoto can develop barcodes, QR codes, and serial numbers in your metal inventory tags. 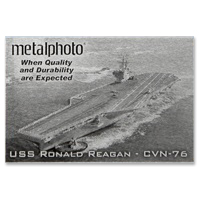 Metalphoto also has the highest resolution printing possible on custom aluminum tags. Durable Inventory Asset Tag Printing – Quite simply, metalphoto creates the most durable fixed asset tags. Because the image on your inventory asset tag is covered by a protective anodic layer, it can withstand UV exposure, salt spray, acid, corrosion, abrasion, stains, fungus, solvents, chemicals and extreme temperatures (125 degrees C to -65 degrees C). 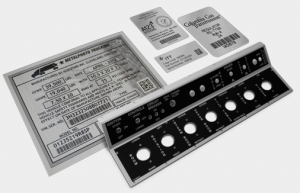 GPI declared metalphoto fixed asset tags to be the most durable asset label ever manufactured. 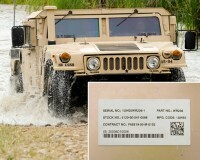 The Naval Surface Warfare Center tested several UID materials and gave the highest environmental survivability score to metalphoto fixed asset tags. Etching or engraving anodized aluminum expose raw, unanodized aluminum. This raw metal is susceptible to chemical breakdown, corrosion, and debris accumulation, which can effect legibility. 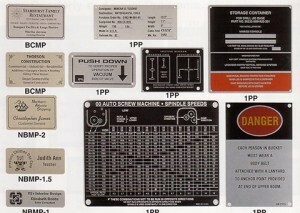 Metalphoto anodized aluminum equipment labels remain sharp, and clean for years. Virtually no image degradation will occur on your custom aluminum tags from year to year. Metal photo labels can still be read and even scanned decades after printing. 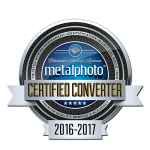 Photo Quality – Metalphoto develops the highest resolution photo quality graphics, QR/barcodes, and text on the aluminum asset labels. 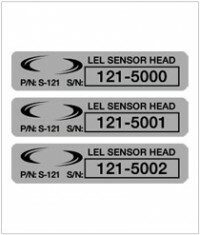 This is quite useful on smaller anodized aluminum asset labels, where space is limited, and detailed imperative. Color Limitations on Your Metalphoto Inventory Asset Tag Printing – Metalphoto inventory tags resemble “black and white” photo-developing. While the substrate comes in several colors and finishes, the image developed is always black for any metalphoto fixed asset tags. 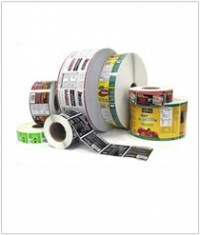 Hence, full-color metalphoto anodized aluminum equipment labels are not possible with metalphoto. Metalphoto nameplates can be screen printed after the anodic layer has been sealed to add color, but that printing is not protected. Cost – Of the standard substrates used for fixed asset tags, metalphoto substrate is the most expensive material. That said, metalphoto custom metal tags are great long-term investments, since these totally anodized aluminum equipment labels may never need to be replaced. 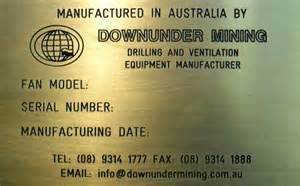 However, these metal equipment tags require the highest initial investment. Please call 800-639-4316 for a free custom metal tags consult. 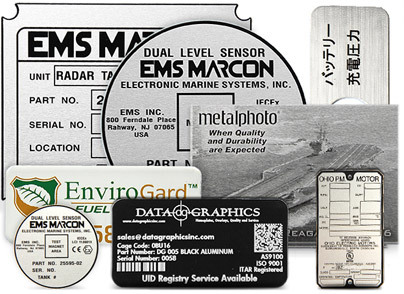 There are several reasons that Data Graphics has been trusted by so many of the nation’s leading businesses for all of the metal inventory tags needs – unsurpassed quality, the most durable aluminum equipment labels, service, problem solving, dependability and simply being the fastest custom asset tag printer in America. We go the extra mile for our clients, providing expedited service on their urgent orders of serialized fixed asset tags, barcoded aluminum asset labels, or logo emblazoned anodized aluminum equipment labels. Don’t order custom aluminum tags without first contacting one of our helpful and knowledgeable customer service professionals to see if we don’t have a better, more cost-effective long-term solution. 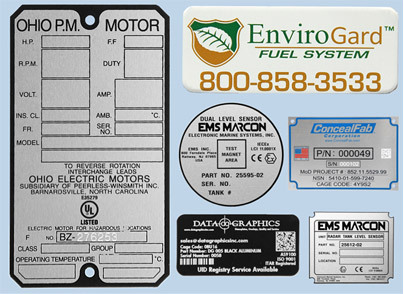 Call us at 800-639-4316 for a fast, free quote on your variable data metal tags and custom fixed asset tags and discover for yourself the Data Graphics Difference.